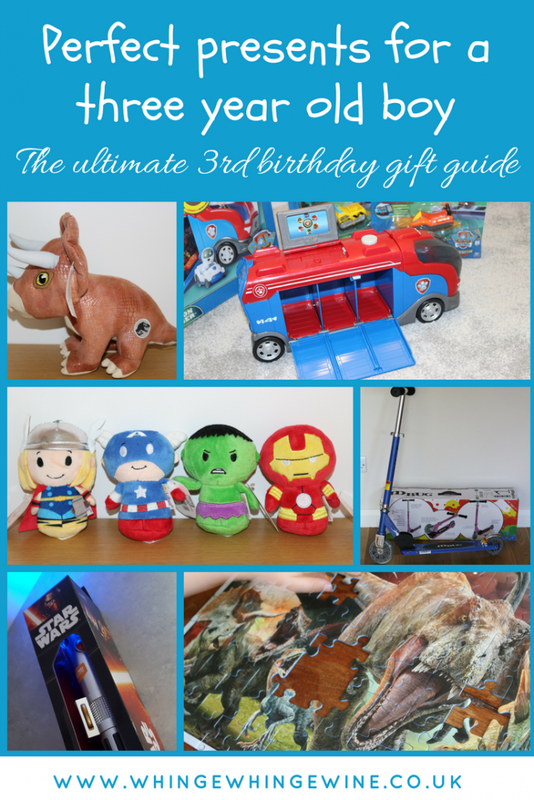 Welcome to my gift guide, with a load of ideas for third birthday presents for boys. Obviously the reason I’m writing this is that my smallest’s is about to turn three years old! He’s a conversation-having, toilet-using big boy now. More importantly, he knows what birthdays are, and what they’re about. He knows that there are parties and presents, and he has been very specific about what he wants. Here are some ideas for third birthday presents for boys like mine. …and of course three year old girls who also like dinosaurs, Star Wars and Paw Patrol. My daughter would have liked pretty much none of these things at all; for her third birthday she asked for dollies, so whilst I totally agree that you should let toys be toys, I have already conceded defeat with my two in this regard. They like what they like, and this is what he likes! Whenever there’s a problem ’round Adventure Bay, something something blah blah I don’t actually watch it. But my son loves it. 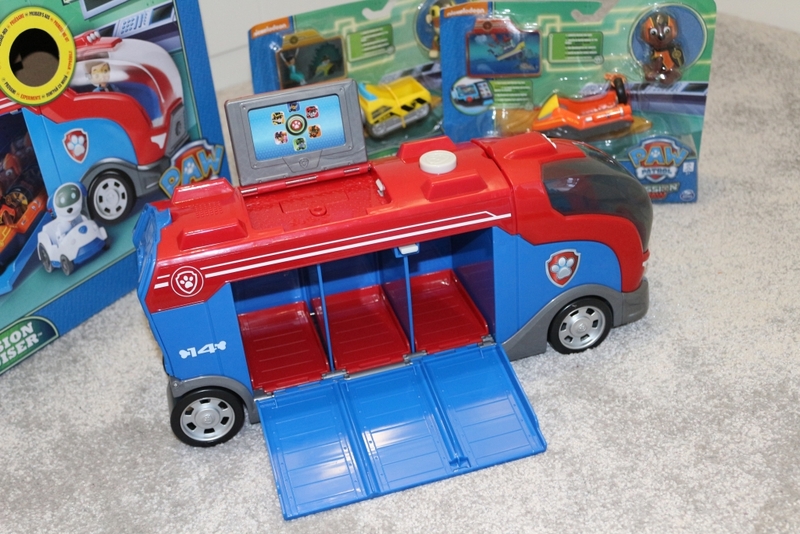 It was absolutely no surprised that the Paw Patrol Mission Cruiser from Spinmaster was – and remains – a really popular toy. For his third birthday he will be getting some more characters* – each with their own vehicle and Mission Paw card – to use with it. The only one he won’t have now is Rocky, which is good because he’s basically the most rubbish one, I think we can all agree. If the Adventure Bay local government agencies start making cuts to services it’s going to be him for the chop first. They retail at £9.99 and can be bought from any good toy shop or online. The Mission Cruiser itself retails for £44.99 but can be bought for a steal currently on Amazon using the link below. Scooters make the perfect third birthday presents for boys and girls. Three is the age my daughter actually started to use hers properly; now she whizzes everywhere. 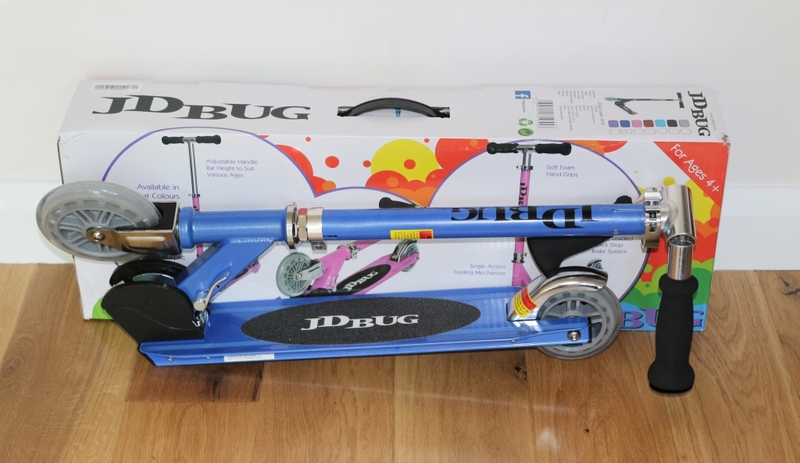 On his birthday ‘wishlist’ this year was a blue scooter, just like this one* from Skates, priced at £31.95. It can handily fold down and be stored away which is very handy indeed! 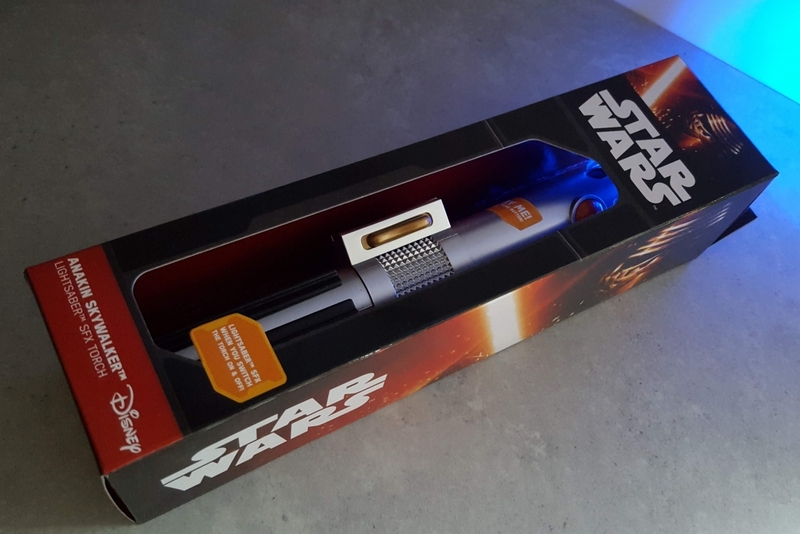 This Star Wars lightsaber torch* from Find me a Gift combines his two loves of Star Wars and trying to blind me. It even makes the correct sounds as well as lighting up. It’s currently on sale at £10.19! If you ask him who his favourite character is then without even skipping a beat he’ll tell you it’s Chewbacca, so he’s going to be delighted with this large Chewbacca from Posh Paws. To find out more about Posh Paws, visit the website here. You can also follow on Facebook and Twitter. 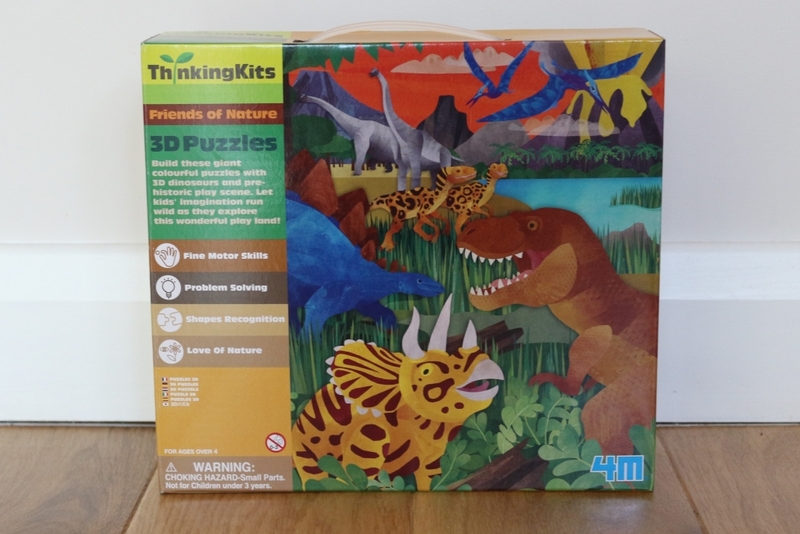 He can’t get enough of jigsaws, and so for his third birthday he’ll be getting this exciting 3D puzzle* from Find me a Gift, which comes with six 3D dinosaurs and floor puzzle to assemble. It’s currently priced at £9.99. 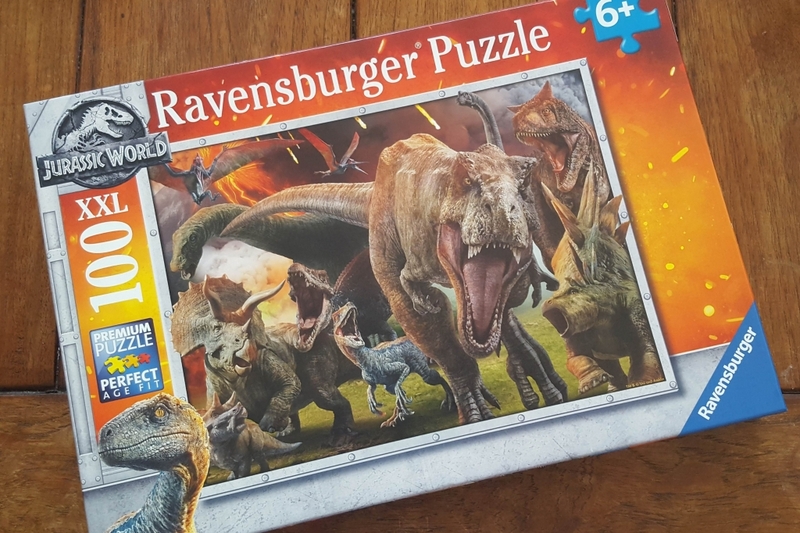 On a very similar theme, he’s also got this awesome Ravensburger Jurassic World puzzle which I know he is going to love! The RRP on this one is £9.99. Something to read is always a good gift, and this personalised book* from Penwizard is fantastic because he’s in the story. Both he and his sister already have personalised books from Penwizard which they’ve been given as birthday and Christmas presents, and they absolutely love them. 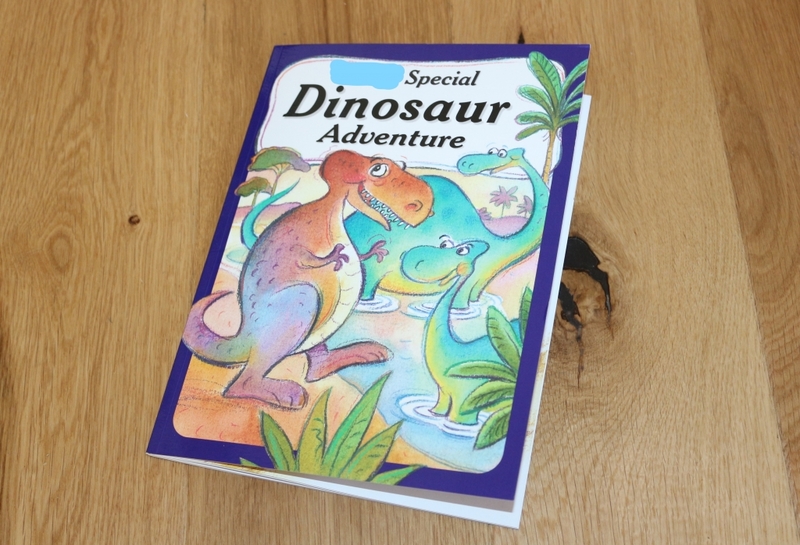 Penwizard sell all sorts of personalised story books from Peppa Pig to Paw Patrol but this one looked really fun! Follow Penwizard on Facebook, Twitter and Instagram to keep up to date. You can get 20% off orders using the code TWITTER20! 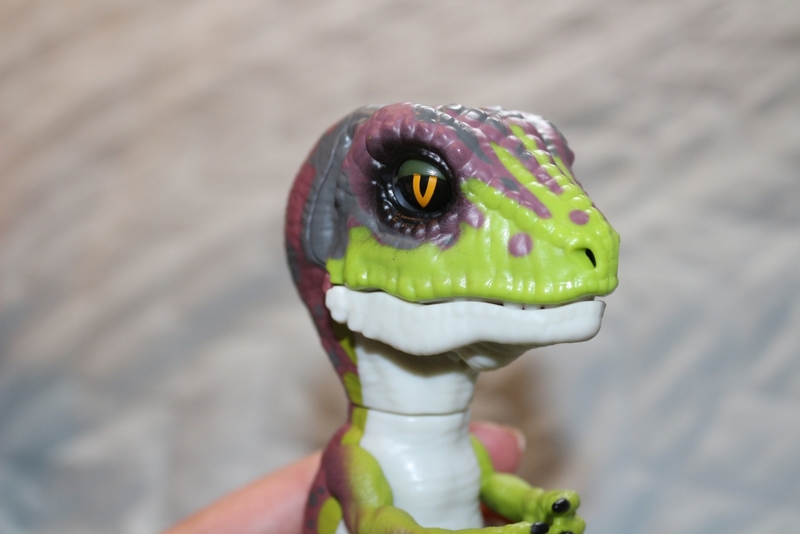 The roarsome answer to the Fingerlings monkey, he is going to LOVE this Untamed Raptor! With an RRP of £16.99 these interactive finger-dinos are currently available on Amazon! 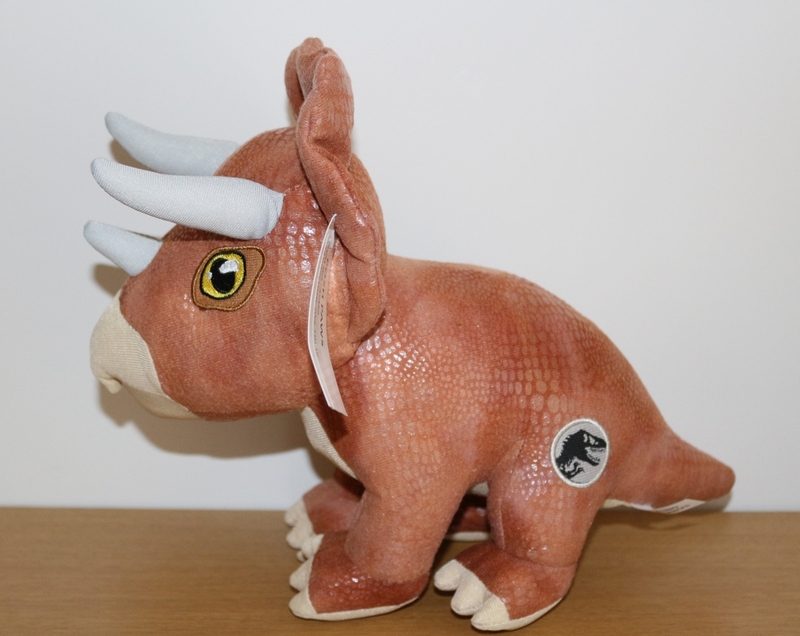 If that’s a bit too scary, then this cuddly triceratops from Posh Paws is much friendlier! There is a whole new range of large and extra large Jurassic World dino cuddly toys available from Amazon here. 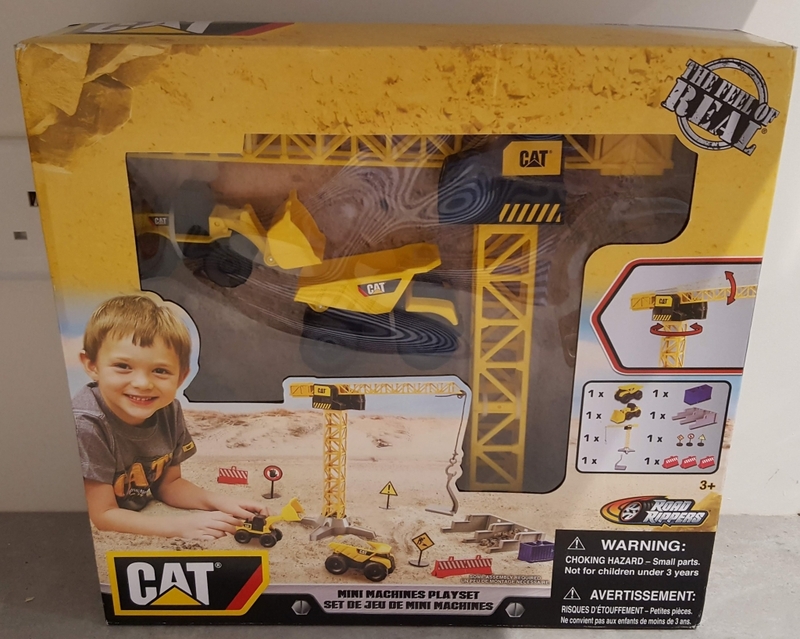 The obsession with anything with wheels – like these little CAT construction vehicles* from Toy State – is strong, however it’s just something that my daughter just never showed an interest in and so we really don’t have that many. This little Mini Machines Play set will be perfect for building his collection. Not only does it have the digger and dumper truck but a crane and accessories and it will be perfect for the Tuff Tray or sandpit. I’m awaiting details on where these can be bought and will update soon! Superheroes are also very popular here; he’s even having a superhero-themed birthday party. 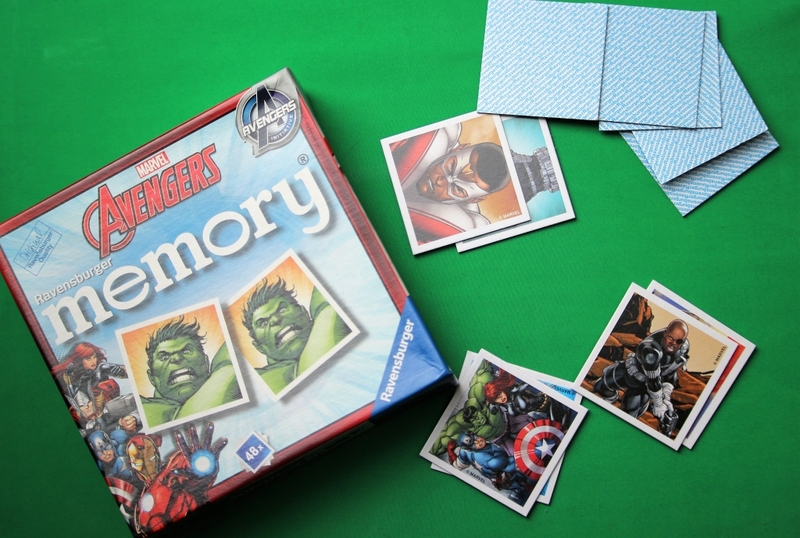 This cute little memory game from Ravensburger is a simple matching game*, with 48 cards to pair featuring all his favourite characters from The Avengers. 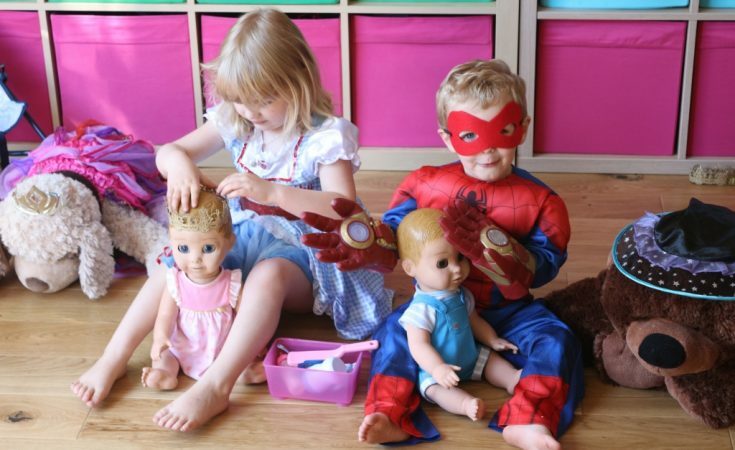 Priced at £3.99 and available in all sorts of themes (not just Avengers, but Thomas Tank Engine, Spiderman, PJ Masks, Peppa Pig, Ban and Holly, Disney Princess, Gruffalo or Bing Bunny!) they make a great little gift for a child’s birthday party and are compact enough to take away on holiday with you too. Top tip: If your child is young, then leave cards face up once they’ve been turned over. I love these little Hallmark Itty Bittys* and they just happen to be his favourite Marvel characters. Just big enough to fit in a hand, I’m sure they’ll be put up to all sorts of adventures. 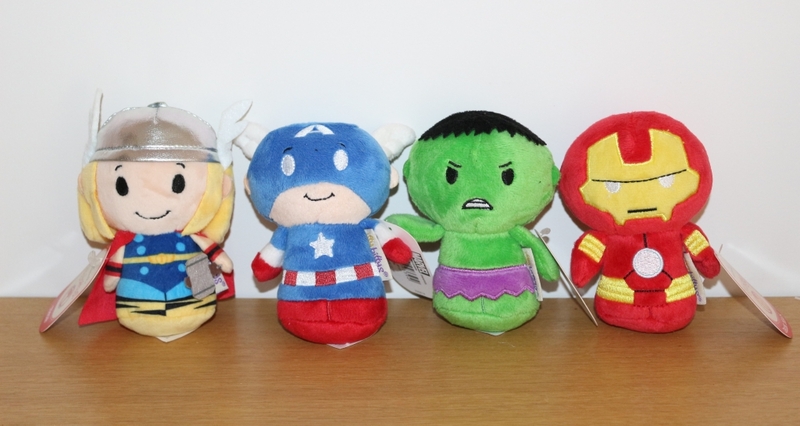 The palm-sized plushies cost £6 each and you can buy a whole selection of Marvel, DC, Disney and other Itty Bitty characters from Amazon here. 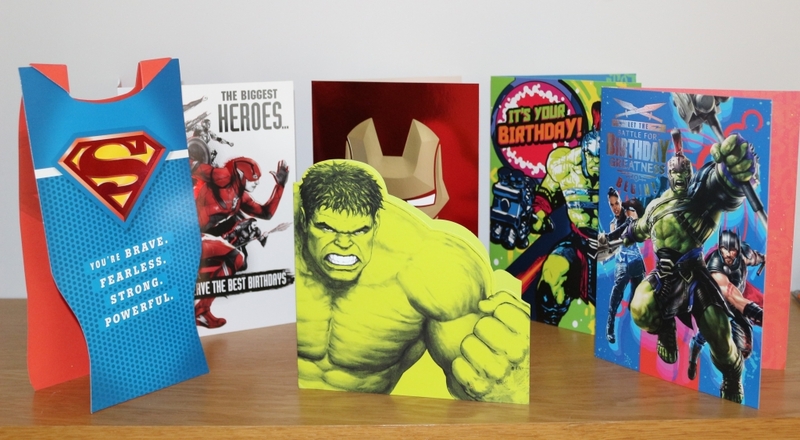 Hallmark also kindly sent a selection of birthday cards; I’m not sure which one he’s going to like the most although he has decided he wants a ‘credible hulk’ outfit for his party. He might have to wait for that though! Visit the Hallmark shop on Amazon here. Disclaimer: Items marked with a * were sent to us specifically for inclusion in this gift guide, but the list has been curated by me based on things I know he will love for his third birthday! Some other suggestions of 3rd birthday present ideas for boys! Here are some of the toys that we have reviewed over the past year and that my son still loves playing with; all of these would make great birthday presents for a three year old boy. Hexbugs Nano Space Discovery Station – These little bugs vibrate around their purpose-build environment and are great fun to watch, although the setting it up and taking it apart is really the best bit. 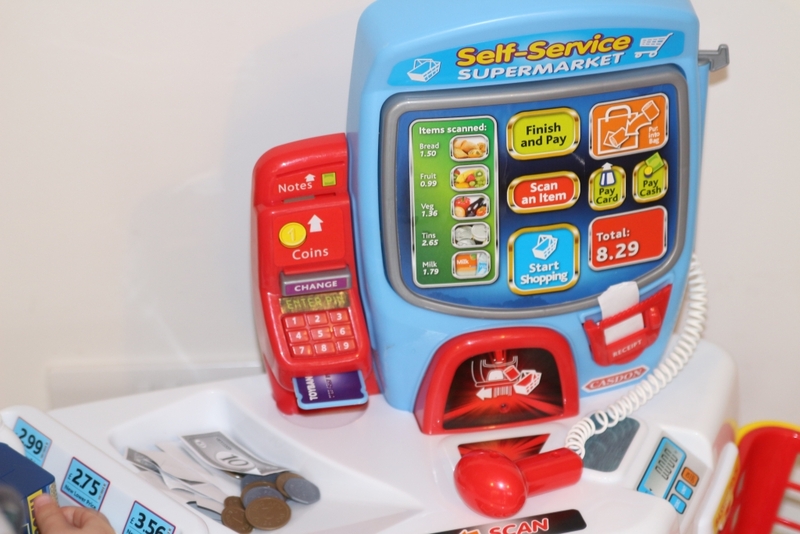 Self-service supermarket – This is a great toy for encouraging role play and has proven to be very popular, along with the play food and kitchen. Squigz – Absolutely the best bath toy, Squigz are little silicone suckers and there are so many ways you can play and build with them. Dinosaur Lotto game – We love Orchard Games; any of the games we’ve played would make great third birthday presents but this dino game is a hit for sure. Lightsaber with lights and sounds – For fighting the dark side. And your sister. Take-a-part buddies CAT vehicle – He absolutely loves taking this apart with the screwdriver and putting it back together again. I’m surprised this hasn’t lost its novelty after six months of regular use but it’s still a favourite! You can see all of my toy and game reviews here. What a lovely selection of gift ideas. I love the cuddly dinosaur! Teddy who is almost three would love the Paw Patrol Mission Cruiser the best! 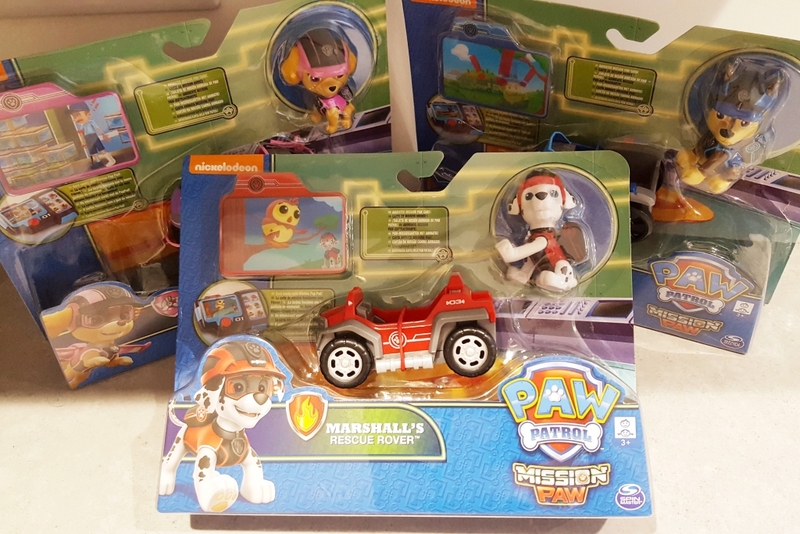 The Paw Patrol Mission Cruiser is my favourite. Who doesn’t love it?! I like the Paw Patrol Mission Cruiser best, my little Grandson would love it. A great guide thanks – lots of ideas! The scooter is my favourite. The paw patrol is my favourite. Star Wars lightsaber torch looks ace! The scooter is my favourite! My nephew would love the diggers. So many fun things! I love the Itty Bitty characters – and lots to collect! 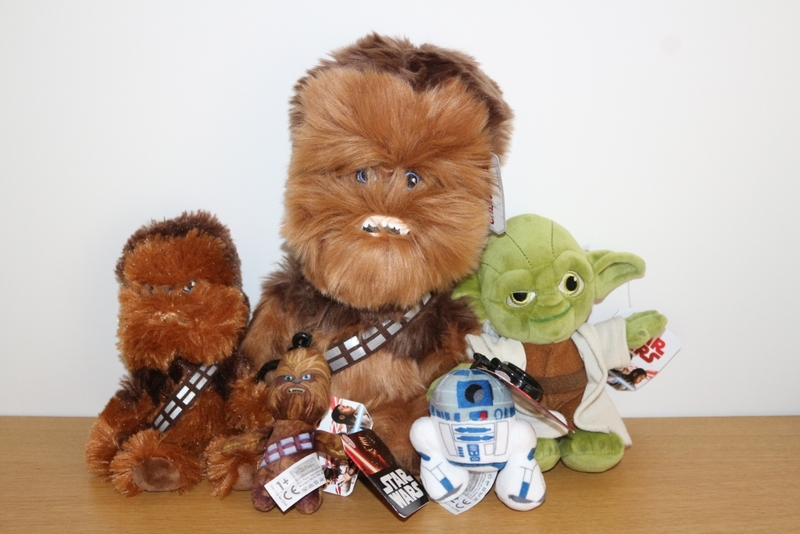 Love the star wars teddy bundle my friends son Luke would love them! 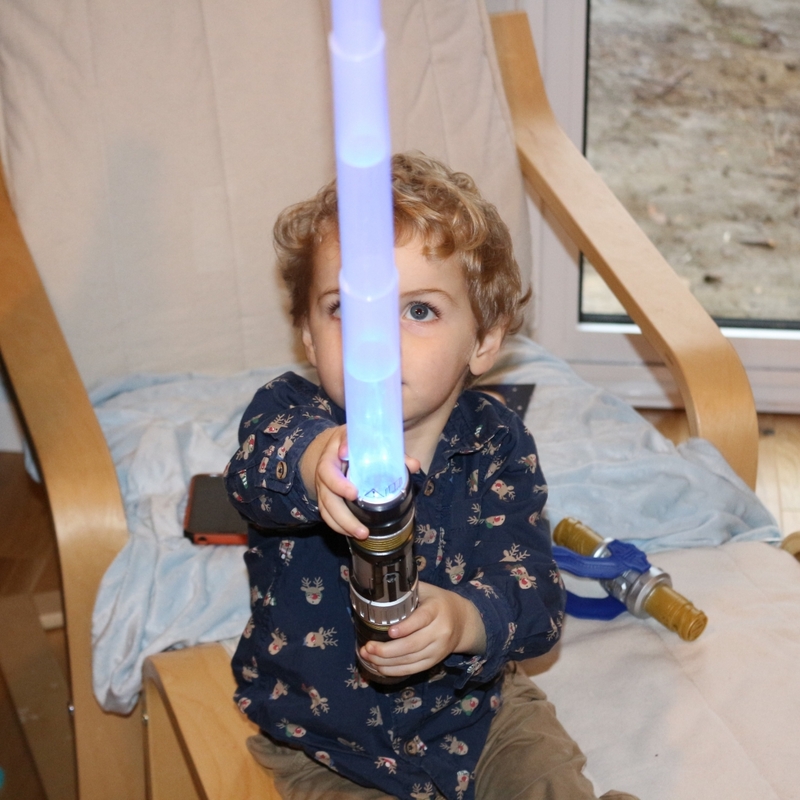 I could so easily ‘help’ the children play with all these toys but the Star Wars lightsaber torch is my favourite. The scooter looks to be my favourite on your gift guide. It’s a big step! It’s fun and encourages outdoors play. Handy when you want to walk and the little ones get tired! Great gift! What a brilliant guide, some great ideas! My son would love the dinosaurs and paw patrol mission cruiser! Some excellent gift ideas here – especially as we have a couple of boys parties coming up in August!